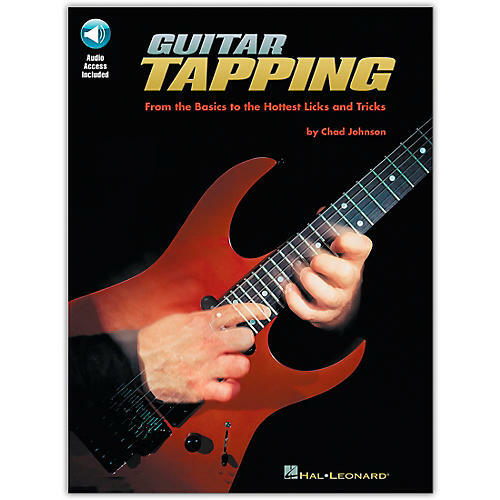 This book/online audio pack is a hands-on guide to the tapping techniques used by Eddie Van Halen, Steve Vai, Joe Satriani, Michael Hedges, Jeff Watson, Vito Bratta, Jennifer Batton, Stanley Jordan and other top guitarists. It covers: the basics of tapping; tapping arpeggios; tapping scale fragments; the ascending tap concept; right-hand slides, tapped bends, tap harmonics and chordal tapping; multi-fingered tapping; combining techniques; and much more, in standard notation and tab. The accompanying online audio features each example played at slow, medium and fast tempos.